I already touched a little bit about my Wildcat Welcome experience in an earlier blog post, but there was definitely something special about the activities fair. It spanned not one, not two, but three large areas in and around Norris University Center, with hundreds of tri-fold boards and sign-up sheets posted at every station along the way. Music blasted from different stations, which added to the overall liveliness of the activities fair itself. Everywhere you looked, someone was sporting club merchandise, someone was exclaiming how amazing a club was, someone was giving a demonstration of what the club does. To say it was overwhelming being in that activities fair would be an understatement, but I’d be lying if I didn’t enjoy the feeling of being lost in the sea of activities. Of course, one caught my attention right off the bat, and to this day, it still interests me. This would be Northwestern’s Happiness Club. Sure, there are groups on campus that raise millions of dollars for charitable organizations, while other groups focus on politics and social activism. We even have a Trash Talking Chess Team. But out of all five hundred some student organizations, Happiness Club has always caught my eye. Maybe it’s the free candy that they give out, or the high fives given out by members posted around campus. Or the bubble blowing. Or the sight of the bright yellow shirts decked out with smiley faces. There’s something about the group that just always makes me smile; there’s always a little pep in my step after I pass them on my way to class. And the Happiness Club lives purely for that feeling of joy and that sensation of laughing or smiling. This organization has only been around since 2008, but they have gained quite a reputation for themselves as a student group dedicated to boost happiness among Northwestern students. My personal favorite thing that they do happens during finals week. During this time, when student morale seems to be at its lowest, the Happiness Club pulls out all the stops and goes full out with their activities. One of these activities involves members dressing up in dark hooded clothing and running around University Library late at night, while throwing candy at students busy studying. These “candy ninjas” throw sugary sweets to those they deem too unhappy to study, in hopes of raising their spirits and the students around them, as well as providing them with a sweet sugar rush to keep studying. 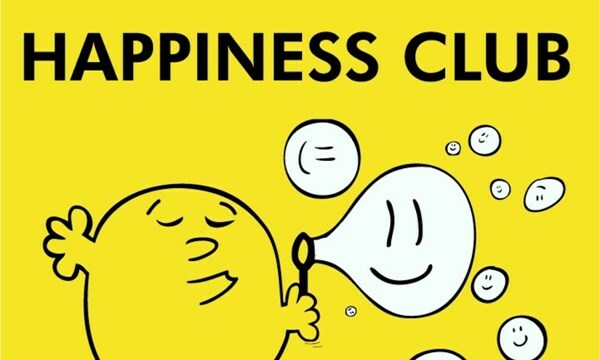 Happiness Club is one such group that is guaranteed to always take your mind off of whatever is stressing you out, even if just for a second. And for us, that one second is crucial. Besides, who doesn’t like smiling and spreading joy?